2. 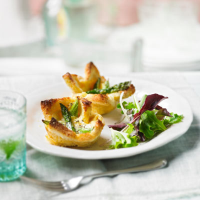 Beat the egg and milk together, season and pour into the bread cups. 3. Bake for 20 minutes until golden and set. Serve with salad leaves.